Subwooferlar 10 adet ürün var. R1S4-10 10" Prime R1 4-Ohm SVC Subwoofer The R1S4-10 features a 4-Ohm Single Voice Coil design, 200 Watt RMS power handling, and is optimized for both sealed and vented enclosures. 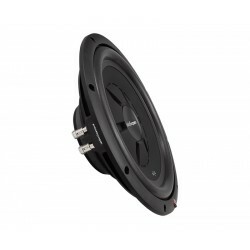 R1S4-12 12" Prime R1 4-Ohm SVC Subwoofer The R1S4-12 features a 4-Ohm Single Voice Coil design, 200 Watt RMS power handling, and is optimized for both sealed and vented enclosures. R2D2-10 10" Prime R2 2-Ohm DVC Subwoofer Car Audio Fanatics wanting big bass can rely on the Prime R2D2-10 subwoofer. This 10" subwoofer handles 250 Watt RMS and the 2-Ohm Dual Voice Coil design lets you to wire them in various configurations. 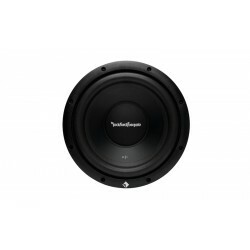 R2D4-10 10" Prime R2 4-Ohm DVC Subwoofer Car Audio Fanatics wanting big bass can rely on the Prime R2D4-10 subwoofer. This 10" subwoofer handles 250 Watt RMS and the 4-Ohm Dual Voice Coil design lets you to wire them in various configurations. 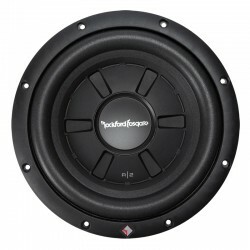 R2D2-12 12" Prime R2 2-Ohm DVC Subwoofer Car Audio Fanatics wanting big bass can rely on the Prime R2D2-12 subwoofer. This 12" subwoofer handles 250 Watt RMS and the 2-Ohm Dual Voice Coil design lets you to wire them in various configurations. 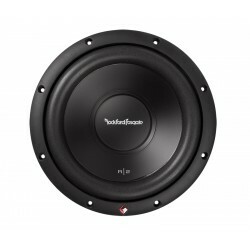 R2D4-12 12" Prime R2 4-Ohm DVC Subwoofer Car Audio Fanatics wanting big bass can rely on the Prime R2D4-12 subwoofer. 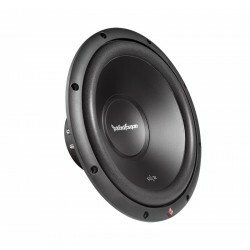 This 12" subwoofer handles 250 Watt RMS and the 4-Ohm Dual Voice Coil design lets you to wire them in various configurations. R2SD2-10 10" Prime R2 2-Ohm DVC Shallow Subwoofer When you have no space for bass, our Prime R2SD2-10 shallow subwoofer will satisfy your need. This 10" subwoofer handles 200 Watts RMS and the 2-Ohm Dual Voice Coil design lets you to wire them in various configurations. R2SD4-10 10" Prime R2 4-Ohm DVC Shallow Subwoofer When you have no space for bass, our Prime R2SD4-10 shallow subwoofer will satisfy your need. This 10" subwoofer handles 200 Watts RMS and the 4-Ohm Dual Voice Coil design lets you to wire them in various configurations. R2SD2-12 12" Prime R2 2-Ohm DVC Shallow Subwoofer When you have no space for bass, our Prime R2SD2-12 shallow subwoofer will satisfy your need. This 12" subwoofer handles 200 Watts RMS and the 2-Ohm Dual Voice Coil design lets you to wire them in various configurations. R2SD4-12 12" Prime R2 4-Ohm DVC Shallow Subwoofer When you have no space for bass, our Prime R2SD4-12 shallow subwoofer will satisfy your need. This 12" subwoofer handles 200 Watts RMS and the 4-Ohm Dual Voice Coil design lets you to wire them in various configurations.